The looming conflict in the Philippines waters as china's aggression and assertiveness in invading neighboring territory flared over the oil race in the sea. The conflict begun last year 2011 when Lieutenant-General Juancho Sabban received an urgent phone call from an oil company saying two Chinese vessels were threatening to ram its survey ship, the Philippine commander's message was clear: "Don't move, we'll come to the rescue." Within hours, a Philippine surveillance plane, patrol ships and light attack aircraft arrived in the area of Reed Bank in the West Philippines Sea (South China Sea). By then the Chinese boats had left after chasing away the survey ship, Veritas Voyager, hired by UK-based Forum Energy. But the tension had become so bigger; Forum Energy chief Ray Apostol wanted to halt two months of work in the area. "They were so close to finishing their work. I told them to stay and finish the job," Sabban, who heads the Western Command of the Philippine Armed Forces, said at his headquarters in Puerto Princesa on Palawan Island, the main Island of the Province of Palawan that administer the Spratlys Archipelago. Over the next few days, Philippines President Benigno Aquino III would call an emergency cabinet meeting, file a formal protest with China, and send his defense secretary and armed forces chief to the Western Command in a show of strength. 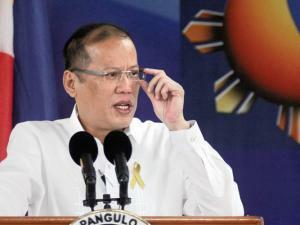 The March 2011 incident is considered a turning point for the Aquino administration. The president hardened his stance on sovereignty rights, sought closer ties with Washington and has quickened efforts to modernize its military capability by spending billions. A year later, Forum Energy is planning to return. 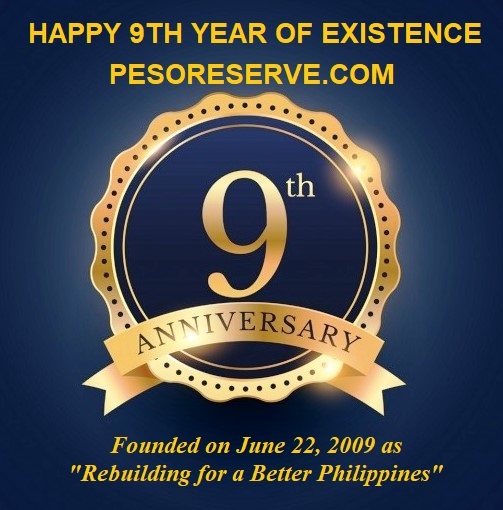 Top company executives said the company intended to sail to Reed Bank within months to drill the area's first well for oil and natural gas in decades, an event that could spark a military crisis for Aquino if China responded more aggressively. The US military has also signaled its return to the area, with war games scheduled this month with the Philippine navy near Reed Bank, Palawan Province of the Philippines that China is bound to view as provocative. "This will be a litmus test of where China stands on the South China Sea issue," said Ian Storey, a fellow at the Singapore Institute of Southeast Asian Studies. "They could adopt the same tactics as they did last year and harass the drilling vessels, or they might even take a stronger line against them and send in warships." A decades-old territorial squabble over the South China Sea is entering a new and more contentious chapter, as claimant nations search deeper into disputed waters for energy supplies while building up their navies and military alliances with other nations, particularly with the US. 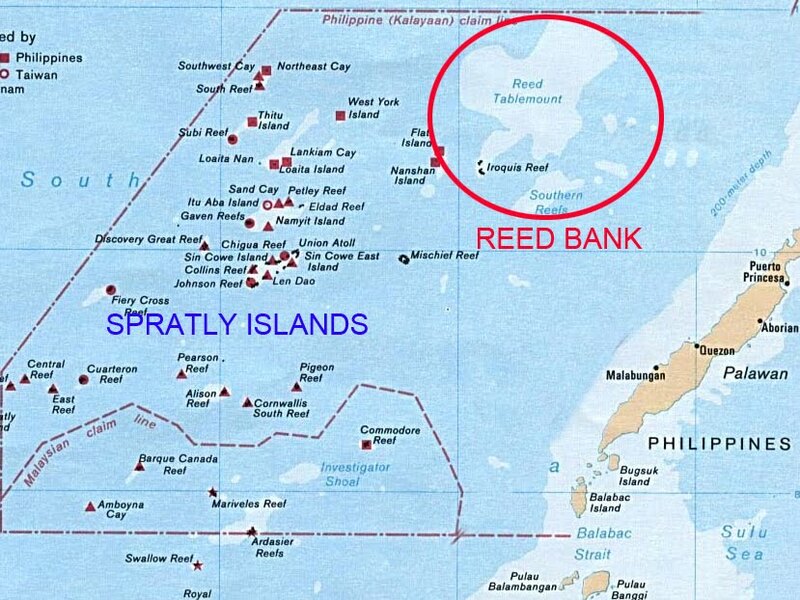 Reed Bank, Palawan Province is claimed by China in which is under the province of Palawan Philippines, it's just one of several possible flashpoints in the West Philippines Sea (South China Sea) that could force Washington to intervene in defense of its Southeast Asian allies. US President Barack Obama has sought to reassure regional allies that Washington would serve as a counterbalance to a newly assertive China, part of his campaign to "pivot" US foreign policy more intensely on Asia after a decade of war in Iraq and Afghanistan. Obama brought up the South China Sea at an Asia-Pacific summit in Bali in November. He had a surprise one-on-one with Chinese Premier Wen Jiabao on the subject, although Beijing had insisted the issue should not be on the agenda at all. "As Southeast Asian countries run to the US for assistance, Beijing increasingly fears America aims to encircle China militarily and diplomatically," said Stephanie Kleine-Ahlbrandt, Northeast Asia director for the International Crisis Group. "Underlying all of these concerns is the potential that discoveries of oil and natural gas beneath the disputed sections of the West Philippines Sea (South China Sea) could fuel conflict." The area is thought to hold vast untapped reserves of oil and natural gas that could potentially place China, the Philippines, Vietnam and other claimant nations alongside the likes of Saudi Arabia, Russia and Qatar. Manila is beefing up its tiny and outdated naval fleet and military bases, adding at least two Hamilton-class cutters this year and earmarking millions of dollars to expand its Ulugan Bay naval base in Palawan. It's no match for China's fleet, the largest in Asia, which boasts 62 submarines, 13 destroyers and 65 frigates, according to the International Institute for Strategic Studies. China last month launched the fourth of its new 071 amphibious landing ships that are designed to quickly insert troops to trouble spots, for example, disputed islands. The US Navy has announced it will deploy its new amphibious assault vessels, the Littoral Combat Ships, to the "maritime crossroads" of the Asia-Pacific theatre, stationing them in Singapore and perhaps the Philippines. Washington's renewed presence in the Philippines – a former US colony that voted to remove US naval and air bases 20 years ago – follows the US announcement last year of plans to set up a Marine base in northern Australia and possibly station warships in Singapore. Manila is talking about giving Washington more access to its ports and airfields to re-fuel and service US warships and planes. The two countries will conduct war games off Palawan Island in late March – focusing on how to deal with a take-over of an oil rig in the West Philippines Sea (South China Sea). China has warned oil companies not to explore in the disputed South China Sea, over which Beijing says it has "indisputable sovereignty". Chinese ships have repeatedly harassed vessels that have tried. After ExxonMobil discovered hydrocarbons off the coast of Danang in central Vietnam, an area also claimed by China, one of China's most popular newspapers warned in October nations involved in territorial disputes should "mentally prepare for the sounds of cannons" if they remain at loggerheads with Beijing. Despite the threats, the Philippines and Vietnam have continued to explore for oil and natural gas further offshore in the West Philippines and South China waters, driven by persistently high oil prices and more advanced deepsea technology. The Philippines had reported as many as 12 incidents of Chinese vessels intruding into its sovereign waters in the past year, an unusually high number, Sabban said. In one of the most serious incidents last October, a Philippine navy ship seized Chinese fishing boats after colliding with one of them, prompting protests from China for their return. At least 12 Chinese fishermen have been arrested over the past year. Half of them remain in detention in Palawan. "China has no right to tell us we should first ask for permission from them to explore the area," Sabban said. "We have explored that area back in the 1970s, so why can't we explore it now? 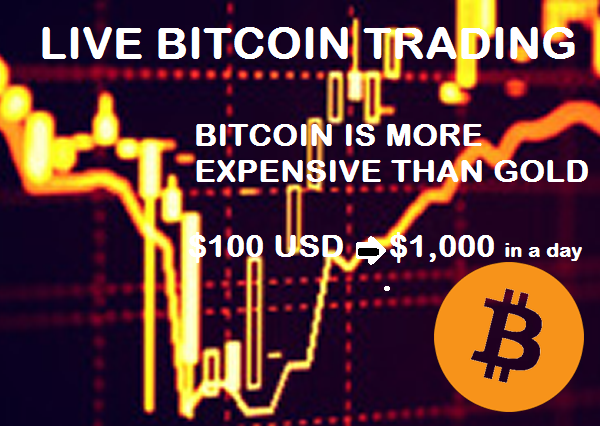 We knew there was a substantial deposit of natural gas even before all of these things started." 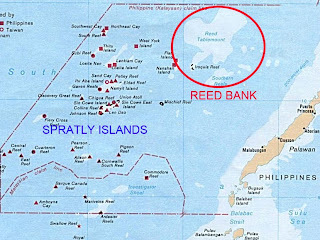 Manila said Reed Bank, about 80 Kilometers or 50 nautical miles west of Palawan Island at the southwestern end of the Philippine archipelago, was within the country's 200-nautical-mile exclusive economic zone. But Beijing believed it was part of the Spratlys, a group of 250 uninhabitable islets spread over 265 542km2, claimed entirely by China, Taiwan and Vietnam, and in part by Malaysia, Brunei and the Philippines. While China prefers to solve the disputes one on one with its smaller Southeast Asian neighbor, Washington has sought to internationalize the issue, given half the world's merchant fleet tonnage sails across the sea and around these islets each year, carrying $5 trillion (R37.35 trillion) worth of trade.